Home>Blog>Business Advice>Video Conferencing – What is it and what are the advantages? 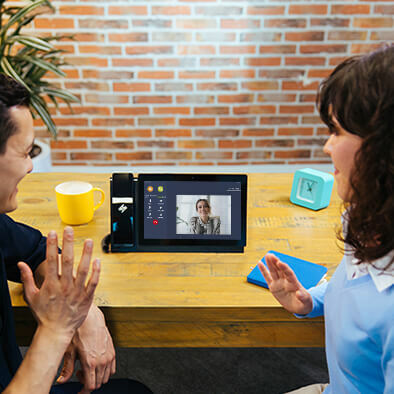 Video communication is on the rise globally with Apps like FaceTime and Skype alongside products like HiHi becoming the norm in both businesses and homes; most people are comfortable with the idea of using video to talk face-to-face. Video conferencing, however, is still something of a grey area for many, which is why this blog will explore it in more detail. Put simply, video conferencing is a video call between two or more people. Participants would join the conference from their own device, with computers, tablets, mobiles and desk phones all commonly used. The video and audio involved would travel over an internet connection, making it similar in technology to a standard VoIP call. That said, different codecs are required on a video conference than a voice call in order to compress and decompress the video data to enable faster transmission. Holding a video conference will work differently depending on the device or application you are using. On HiHi, you can instigate a video call with any other HiHi user, simply by pressing the “Video Call” button which displays once a call is initiated. You can start a call with video from the outset or add video to a call in progress all by using the on-screen displays. What are the advantages to video conferencing? Video conferencing is ideal if you’re looking to hold meaningful, face-to-face conversations without needing to compromise in other areas. In particular, video conferences can make you more productive, as you won’t be losing time to travel. Additionally, you’ll be able to add to your conversation with non-verbal communication, helping you to convey more of what you want to say than on a phone call. Video conferencing also provides a greater level of flexibility than other meetings; if you find yourself out of the office, you can still engage in a productive conversation, whereas you would have had to reschedule a traditional meeting. Does video conferencing have disadvantages? One of the most well known disadvantages to video conferencing is reliability. We’ve all been on a conference call where participants seem to be in-and-out repeatedly, but thanks to the advances of internet speeds, this needn’t be a problem. If you suffer a poor experience, a slow or unreliable connection will be the most likely be the cause. Check with your video conferencing provider about their minimum technical requirements. Is it important to have a video calling function? 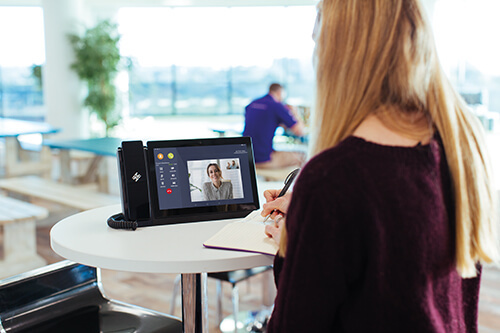 We would argue that the benefits greatly outweigh the potential disadvantages so while video conferencing remains a growing field, we would argue its an incredibly useful tool to have at your disposal. Which is the best video conferencing? There is a wide variety of choice in the video conferencing arena and we’ve chosen to be HiHi resellers. HiHi allows you to invite anybody to a video call by sending them an invitation to download the HiHi There application to their computer, mobile or tablet so that they can then initiate a video call with you. HiHi also comes with HiHi Connect, meaning you can still enjoy video calls, even if you are away from your desk. We’ve also found that HiHi has exceptional video and call quality alongside excellent reliability. It’s a combination of these points that lead us to believe that HiHi is the best choice for video calls in the UK.